Here is a great bruschetta combination of flavors. We make a lot of different toppings for ours. Here is a summer fun topping that is made into a light meal on those warmer days. Also perfect for game day for a quick filling appetizer. 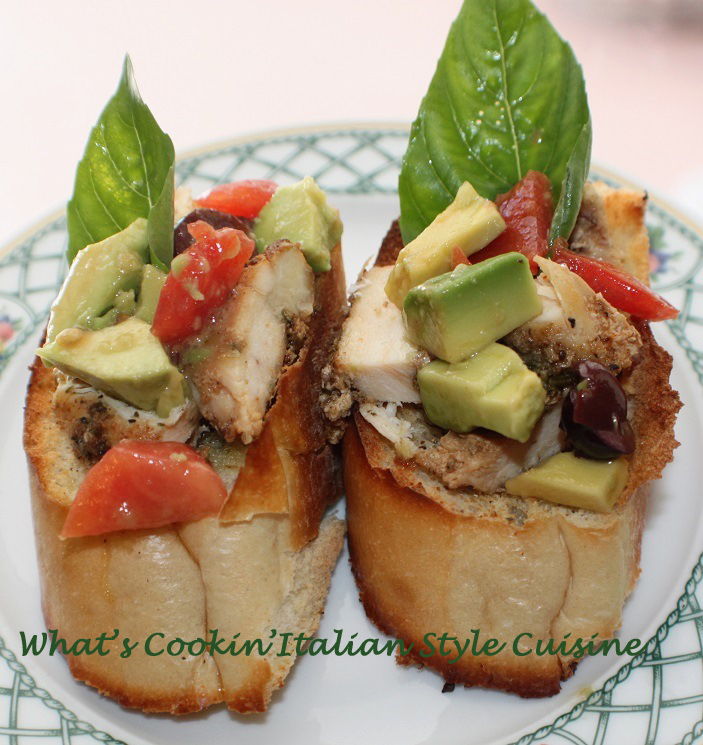 An Italian appetizer gone wild! Check this out for all my avocado fan readers your going to love this fresh taste of the tropics on this little crunchy bread, it's a true winner here in our home! NOTE: you can just season the chicken with fresh parsley, basil and rosemary and pan fry in a hurry or make the lime chicken recipe above. In a medium size bowl add chopped avocado, olives and tomatoes and cheese if using. Season with salt, pepper, cayenne, oregano and garlic. 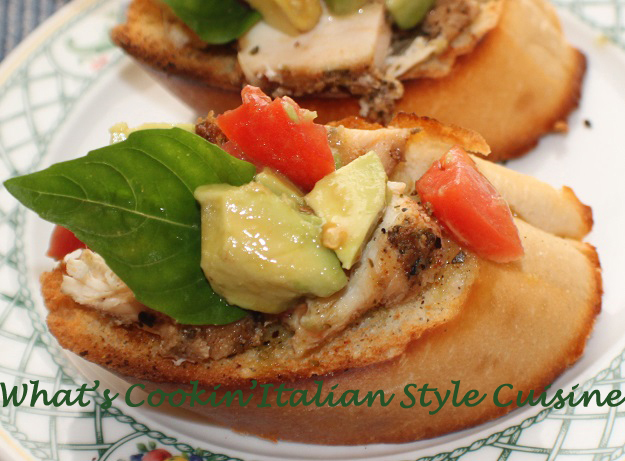 Place chicken on the Bruschetta first, top with avocado mixture. Garnish with fresh basil, sprinkle with oregano, parsley and drizzle with olive oil and good grade of balsamic vinegar. Enjoy!